An education manager sets a winning weight-loss example. “Yeah, right,” guffawed my friends and family, when I announced I had given myself five years to train for and finish the Comrades. I had given them no reason to believe otherwise. I was ‘fat and fit’: all my life I had relied on my skills as a sportsman to compensate for my lack of fitness; and when it came to diet, I lacked discipline. Then, in 2013, I injured my ankle. During my two-month recovery, I piled on another 10kg. My wife and I were due to get married, and I knew I would struggle to find a suit that would fit me. Preparing my meals for the week every Sunday not only saved time; it helped me to stick to my new diet. 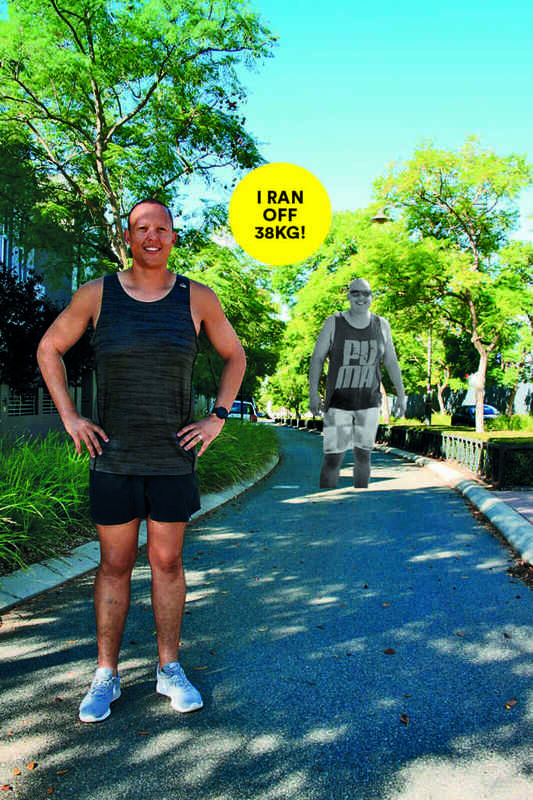 I began to follow a tried-and-tested training plan, and found that running helped me to develop the mental fortitude I needed to achieve my weight-loss goals. My five-year plan became a 12-month one when I entered the 2016 Comrades, on the first day entries opened in August 2015. Then, I ticked off my first marathon in October. During the six hours it took me to finish, I was taken to physical and mental places I had never been before. Finishing the Comrades was something I had dreamed of since I was a boy. I learned that when people say anything is achievable, it really is. It’s excuses that stop us from achieving our goals. My advice to anyone who wants to run it off is to stick to a plan. If you fail, dust yourself off and try again. The reward is a new lease on life – you’ll wish you’d made that change sooner! Inspired by Taniko’s story? Join the club and start your weight-loss journey with the Run It Off Plan below. What are you waiting for?